We offer electrical surge protectors for AC relays which are available in 1 ph and 3ph types. The 1 ph relays are suitable for single phase load and can also be used as a viable option for 3 ph applications whenever the load is balanced. These products are available for over load (OL), Single Phasing (SP) and Phase Reversal (PR). Time-Delayed overload relay finds wide use. The tie delay provided in the relay avoids nuisance tripping in response to transient overloads but switches off the load if overload persists beyond the specified time. Most of the loads in actual practice increase temporarily and the drive are usually designed to handle this type of overloads. Jam type overload relay is quite unique and has made possible very reliable protection of loads such as Blower, Fans, Stirrer motors which were rather difficult to achieve with conventional thermal relay. Jam relay not only saves the motor, but restricts the possible damage to the equipment & loss of production by advance intimation before catastrophic failure takes place. Such situation, for example, can arise when ‘oil-starved bearings' starts slowly seizing and if not attended in time can get heated and tear out the housing. Repair not only costs in term of money but looses precious time. Similarly, jamming of conveyor can be effectively responded by the Jam relay and catastrophic failure there of can be averted. Single Phasing (SP) protection in Diligent Protector relay is either Current Operated Single Phasing (COSP) or Voltage Operated Single Phasing (VOSP). COSP is realized by sensing each of the phase current continuously. As soon as current in any one phase is lost, control relay changes the state. This greatly limits the heavy thermal stresses due to large current flowing in the connected phase-windings of motor. VOSP protection monitors all three supply phases and acts when one of the phases of 3 phase supply is missing. However, Should phase be lost while 3 phase motor has already running, VOSP may not trip the motor because of the induced voltage in the motor winding. However, COSP is effective even when the phase is lost while the motor is in operation. 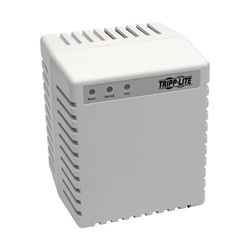 Looking for AC Surge Protector ?